AdaptiveMobile, the world leader in mobile security, today announced that Zipwhip, the leader in enterprise-to-person (E2P) communications, has selected the company’s Network Platform Protection (NPP) and Messaging Security Product for protection across North America. Zipwhip is the backbone for E2P messaging in the United States. All SMS and MMS traffic from wireless carriers to toll-free phone numbers and most business landline numbers are routed through Zipwhip. Zipwhip has achieved impressive growth with virtually no instances of unsolicited messages, spam or other threats, and the company has chosen AdaptiveMobile to keep its customers’ communications abuse-free. Other service providers have followed Zipwhip’s decision to choose AdaptiveMobile’s Messaging Security Solution, making it the leading choice for E2P messaging protection in North America. Zipwhip’s cloud-based texting platform lets businesses add text messaging to any existing landline or toll-free phone number. Incoming texts are routed to a computer, tablet or smartphone. For companies in any industry – but especially those in insurance, automotive, staffing, fitness, transportation, radio and healthcare – Zipwhip provides an easy, cost-effective way to reach customers using their preferred method of communication: text message. 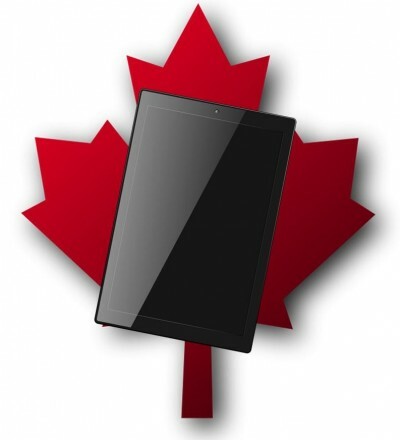 Nearly half of all of the traffic on the internet from Canada stems from a smartphone, tablet, or similar gadget. According to the research firm, comScore, the use of mobile devices by Canadians is making its way beyond an important milestone, as the number of hours spent online over these gadgets closes in on the fifty percent mark. Of all of the time that Canadians spend online, 49 percent of it comes from smartphones and tablets. Canadians are currently spending an average of 33 total hours online when taking the use of all of their connected gadgets into account. Forty nine percent of that is coming from mobile devices such as their cell phones, tablets, wearable technology gadgets, the iPad Touch, and other connected electronics. If things continue in the same direction, it won’t be long at all before people in Canada are using their smartphones and tablets for more of their online time than their laptops and desktop computers. comScore explained that messaging apps, web searches and social networks are driving the use of mobile devices upward. The firm explained that these are the purposes for which mobile gadgets are being most used while connected to the internet. For some of those users, smartphones and tablets represent the only way in which they are using the internet, and they have given up on their desktop and tablet computers, altogether. On the other hand, while the use of mobile devices the only way that 4 percent of Canadians were accessing the internet, there was still a tremendously larger 47 percent who used their computers exclusively for their online activities, added Rich. Among those who used only smartphones or tablets, women made up 55 percent.